A stylish free-form pearl solitaire ring set with a cultured freshwater pearl in .925 sterling silver in your choice of sizes 5 - 9, including half sizes, for women. 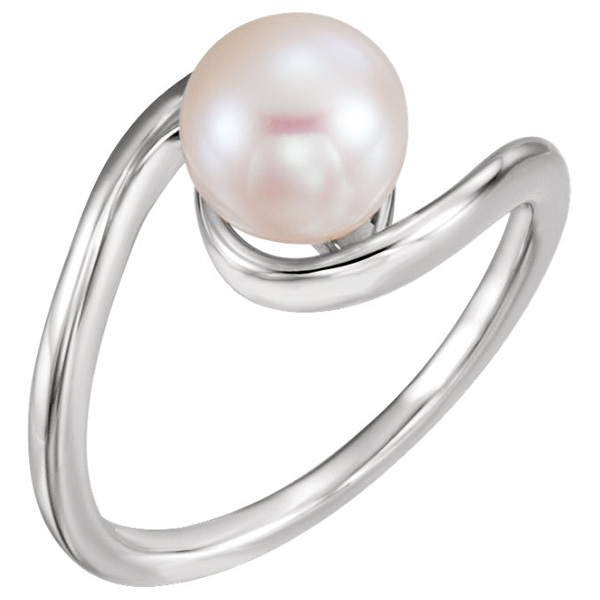 The freshwater pearl ring is also available in 14k white gold, shown below. Please allow approx. 7 business days before shipping, as each of our sterling silver pearl rings are individually made to order, just for you. We guarantee our 8mm Cultured Freshwater Pearl Free-Form Ring in Silver to be high quality, authentic jewelry, as described above.